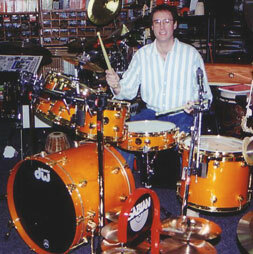 Drums n’ Moore was founded by Rand Moore after many dedicated years of service at Ward Brodt Music Mall in Madison, WI. Rand needed more room to expand and wanted to offer an exclusive, drums only store to cater to his numerous existing clients. Being a professional player himself, Rand understood that most music stores don’t have much of a selection when it comes to all the needs of drummers. Drums N’ Moore was born and has been steadily growing ever since.